- Has an antiseptic effect on our mouth and throat. 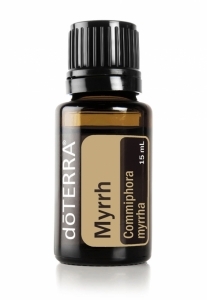 Ancient records show that Myrrh's essential oil was so valuable that the price of essential oil was equal to the price of gold. Essential oil is derived from resin and has been used for centuries to support the physical and physical body. Already in history, it was used as a perfume, for incense, for religious rituals and for mummification. Mira has excellent cleansing properties, especially our throat and mouth, and it also acts beneficially on our skin, helping to maintain the young and radiant complexion. When used in a diffuser, we relax, since our emotions are soothing.